Looking for an easy (I’m talking SUPER SIMPLE) way to cut calories? 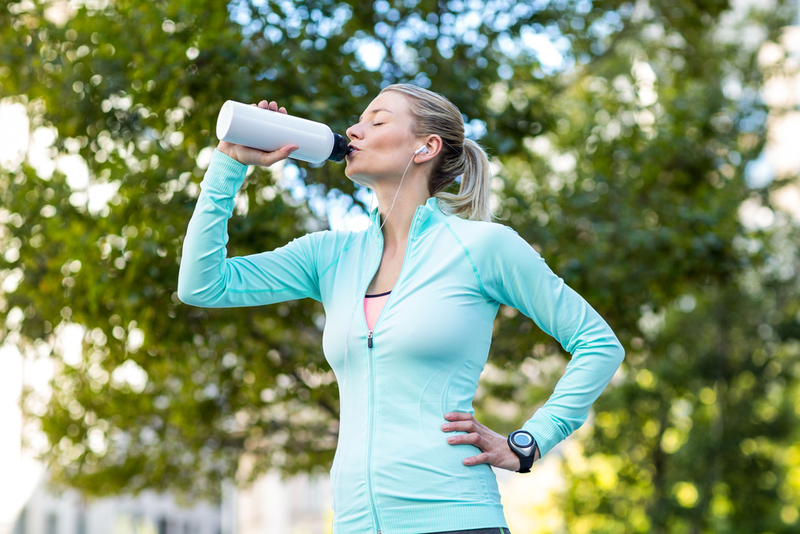 All you have to do is sip a bit more water, according to a recent study in the Journal of Human Nutrition and Dietetics done by from researchers at the University of Illinois at Urbana-Champaign. In fact, a measly 1 percent increase in your daily H20 intake was linked with a decreased consumption of total calories, sugary drinks, and “discretionary foods,” as well as decreased total fat, saturated fat, sugar, sodium and cholesterol intake. If you currently drink eight cups of water a day (nice work! ), a 1 percent increase equates to just over a half a fluid ounce daily. Talk about a manageable change! Feeling a little more motivated (or thirsty)? Survey participants who increased their H20 intake more than 1 percent enjoyed more dramatic results. So take a couple extra trips to the water cooler today and you can quite literally….sip yourself slim. For more surprising H2O benefits, click here.